People may not realise but we have a lot of dogs in long term foster homes. Most of these are oldies but some are just ill.
We pay the vets bills for these dogs (apart from routine things such as flea and boosters) and they cost us a LOT of money. Many of these dogs need regular medication and vets visits and for some its just the aches and pains and things like bad stomachs and ears that come with old age. Some of these dogs cost us a lot initially as they have untreated skin problems infections etc and many need expensive dentals. 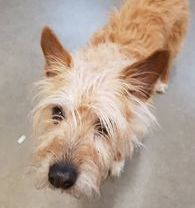 Every time one of these dogs need us we cringe as we know we will be looking at hefty vet bills and possibly a regular drain on our precious and limited resources - but how can we say no! Without us and the lovely caring foster homes that take on these 'Oldies' what chance for a future would they have? 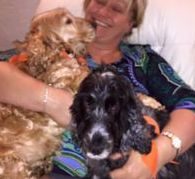 We have lost some of our oldies this year, the lovely Peggy, Benson and Sam and that make us sad, but we know that they ended their lives loved and well cared for and that makes it better. We are truly grateful that a good number of the foster homes not only care for these dogs so well but also gladly pay the vets bills for their oldies knowing that really does help us out. If you want to help with our oldies then why not think about joining our 'Sponsor an Oldie' scheme. Set up a regular monthly payment of a minimum of £5 into our bank and we will send you a regular newsletter updating you about how they are getting on. We can do a sponsorship package for any local businesses who want to get involved in some way as well. 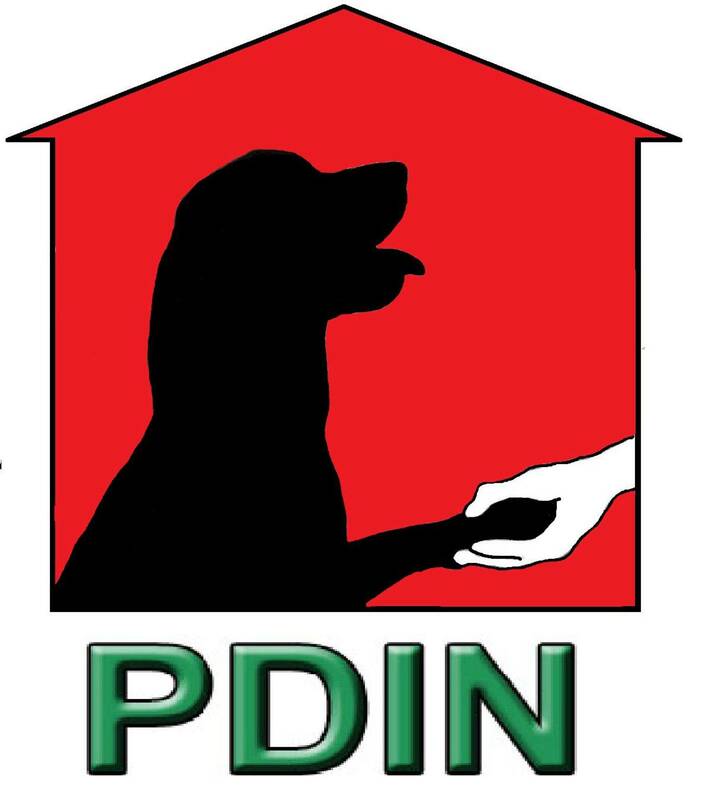 Email us at pendledogs@gmail.com for more details and to join this scheme. Candy came to us days away from death – she was emaciated and so weak she couldn’t walk. A visits to the vets revealed she had undiagnosed diabetes. After a stay in the vets for a few days to stabilise her condition she went to her foster home and has stayed there since. She requires twice daily insulin injections plus regular vet check-ups to keep her condition stable. She is now a very contented bed who loves to potter round the garden or snooze on one of her comfy beds. 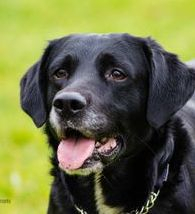 Tux came to us as a supposedly healthy springer x lab. He went on trial to a young energetic family and whilst on trial started to show signs of a problem with stiffness. Several tests and vet appointments later it was found he had a slight leg deformity that had led to bad arthritis. He is now in long term foster and a happy boy whose favourite thing is to chase a ball. Alfie Lurcher. 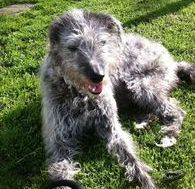 Came to us as an old boy when his owner sadly passed away. He now lives a happy life with Bea another PDiN girl. Little Millie really didn't have the best start in life and was in quite a state when she came to us. She had cherry eye and despite several things being tried the vets were left with no alternative but to remove her eye as it was too badly damaged. She doesn't let this hold her back at all and is an absolute little treasure who loves to play with her toys. 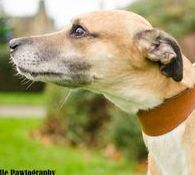 Jamie is an elderly lurcher boy who found himself in the pound. He now had a very contented life in his foster home. 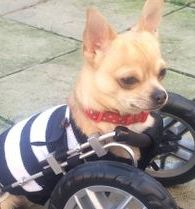 Butch spent a long time in Kennels whilst his dad was in hospital then came to us. 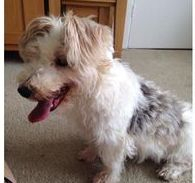 he found his forever home but again his owner fell ill. He wasn't an easy boy and hated to be left. 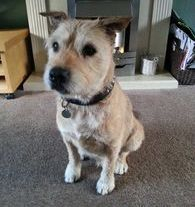 He was lucky enough to find a home with Carole where he is very happy. He is prone to ear infections but a healthy boy apart from that. These two older cockers came to us when their mum sadly passed away. They have stayed in foster together. They have their fair share of health issues and needed dentals plus ear infections, stomach problems and urine infections. However they are happy and very well loved girls. Lady is a small cross breed girl, around 15 years old (or older). 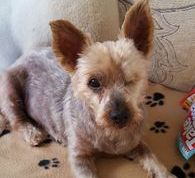 She doesn't hear very well or see very well but he foster says you still cant eat a bag of crisps without her noticing and wanted one. Another little one who would have had a very uncertain future if we hadn't stepped in to help her. Micky was a poundie. He found his forever home but then very sadly his new dad passed away. He came back to us but by this time was older and getting stiff. That was soon sorted with regular medication and herbal treatments and he is now very settled and content in his foster home. Roo is probably our most famous and well known foster dog. He came to us as a pup. He was born with no front legs. This little man has proved to be a real personality, winning hearts and charming people. Despite many set backs and problems along the way he has remained the positive character who loves life he has always been. 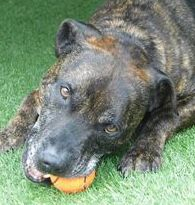 Dollar is an older staff boy who came to us from the stray pound. A lovely boy who likes a quirt life. 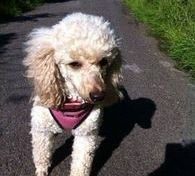 Sandy poodle arrived unexpectedly along with an ex breeding cavalier we had agreed to help. She was a very nervy girl and led us all a merry dance when she escaped a trial home and was missing for 2 days. She needed a very special foster home after that and found one with Carole and her new big brother Butch. 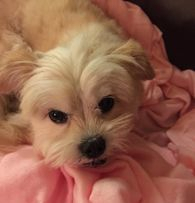 Maisy's owners found it hard to deal with her health condition and so we stepped in. 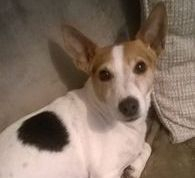 Maisy is a middle aged jrt girl, full of beans and fun. 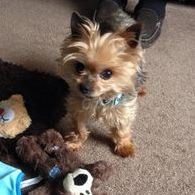 Maisy does suffer from epilepsy and so she is on medication to keep this at bay and needs to go for regular blood tests and check ups. Yet another well loved and happy girl. 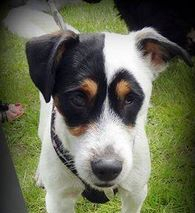 Pippa is one of our newest oldies, a 15 year old Jrt girl who came to us due to her owners illness. She really missed him an didn't eat well for a while but is now settled really well in her foster home. She will likely need some pain meds but we are trying herbals for now and a dental may be on the cards very soon. Suzie is the latest addition to our Oldies crew. 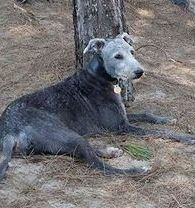 A 15 year old cross breed girl who was left home alone for over a week after her owner died in hospital. She is full of fun despite her age and in good health. She is currently looking for her special home to live out her twilight years. Tiggy was another who lost his owner. When he arrived he was older than expected. In foster it was discovered he needed a dental and he had an issue with his legs. So far he has had over £1000 worth of vets treatment and he will be on painkillers now for life. 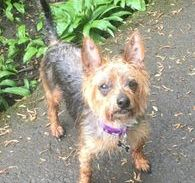 Tiggy however doesn't realise he is old and a bit crock :) and he runs his foster home ragged with his cheeky adventures. What a happy and well loved little old man he is. When Fergal came to us he wasn't in a good way. He had long matted hair and a mouth full of rotten teeth. 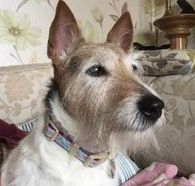 After treatment to get him back to full health this little old boy has settled brilliantly into his foster home and is now lavished with attention.